Political Islam has taken a firm hold in Egypt. Could it be the next Iran? 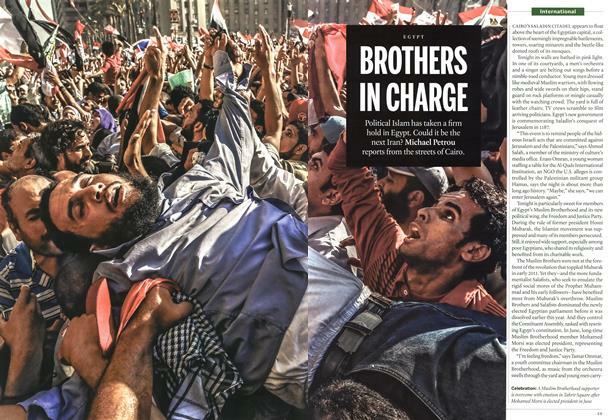 Michael Petrou reports from the streets of Cairo. 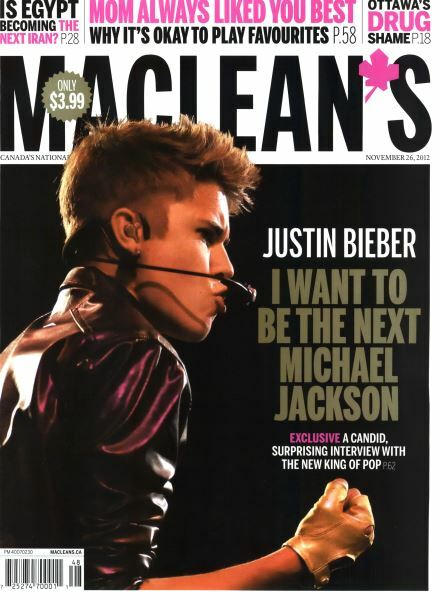 When Justin Bieber ponders his career, he asks himself: what would Michael Jackson do? Brian D. Johnson reports. He’s the favourite. No, she is. GARY DOER, the former premier of Manitoba, has been Canada’s ambassador to the United States since 2009. He has been at the forefront of pushing Ottawa’s agenda in Washington, including the proposed Keystone XL pipeline that would bring bitumen from the oil sands to refineries on the U.S. Gulf Coast. 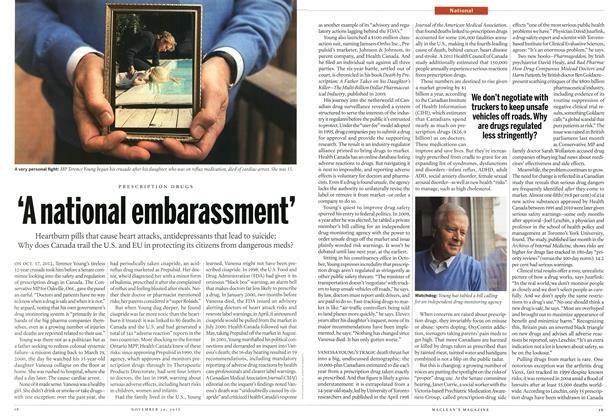 Phone hacking, now pedophilia. The Imperfectionists author Tom Rachman dissects the U.K. media mess. As recently as the second week of October, global bond funds - which are generally less risky assets - took in $8.2 billion, while riskier equity funds lost $1.23 billion. In the aftermath of the 2008 meltdown, investors are clearly uncertain about the markets.